At GCL UTV , we only use 1/4" Lexan for all our hard windshields. Much stronger and more stable than the 3/16" versions that bow at high speeds. We also use quick connect clamps for all our windshields. The quick connect clamps make installation a breeze. 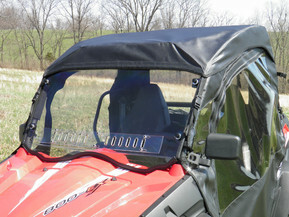 The Ranger windshield uses 6 clamps for maximum stability. After the clamps are on the rollbar, you never have to remove them to remove the windshield. Just loosen the knob bolts and the windshield comes off. Easy on....solid fit.....easy off. Sometimes it's the small things that make a difference. 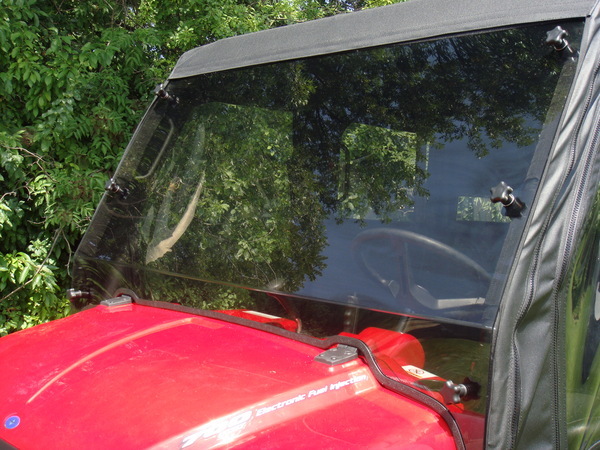 Our Lexan windshields include a 2" piece of rubber edging at the top edge of the windshield. Just in case there was any chance of the windshield hitting the rollbar when running hard, the rubber edging stops that cold. 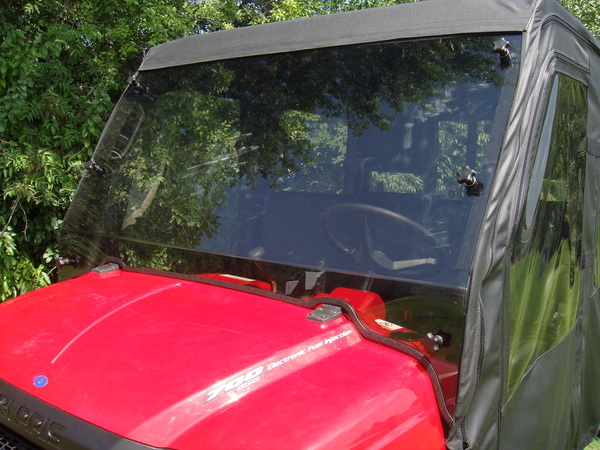 The windshield comes complete with everything needed for easy installation and care instructions, but in case we're needed, the GCL UTV team is just a phone call away at 877-304-0008.